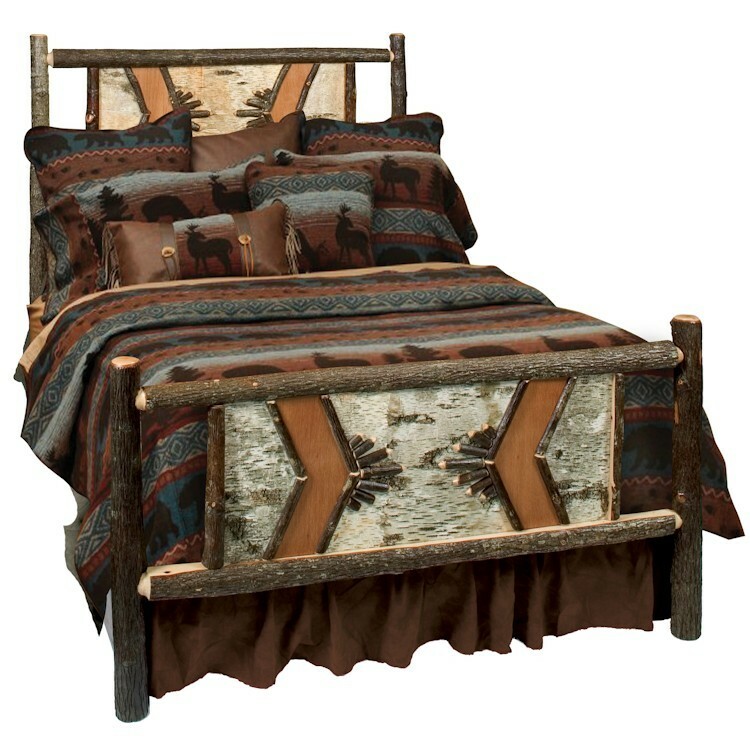 This Hickory Adirondack Traditional Bed captures the beauty of nature with hand-crafted birch and twig accents and full log side rails for sturdy construction. This Hickory Adirondack Traditional Bed captures the beauty of nature with hand-crafted birch and twig accents and full log side rails for sturdy construction. This rustic hickory bed is clear coated with a catalyzed lacquer finish and all hickory logs are bark on and kiln dried to a specific moisture content.